Honouring The Word: Poetry and Prose, Celebrating Maurice Harmon on his 80th birthday. Compiled and edited by Barbara Brown. To mark his 80th birthday Maurice Harmon has brought together poems written in the last two years together with selections from the three collections published by Salmon: The Last Regatta, The Doll with Two Backs, and The Mischievous Boy and other poems. 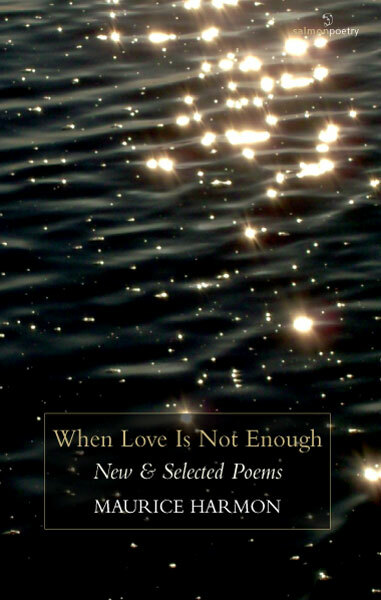 In the pages of When Love Is Not Enough: New and Selected Poems, the range and variety of Harmon's work is evident. He has a distinctive voice, both serious and playful, combining love poems with political satire, elegies with family portraits; he also writes poems of surprising eroticism which arise from his questioning of clerical oppression. The selection includes translation from Acallam na Senórach, the medieval anthology of Irish stories and poems, including the haunting 'Créde's Lament', and from work by the contemporary Galician poet, Ana RomanÃ­, including the compelling 'Would That the Sperm Whales Would Climb My Legs...'. Throughout this selection there is evidence of that poetic intelligence and meticulous technique that make Harmon's work both satisfying and worthy of celebration. In addition to being a poet, Maurice Harmon is the leading scholar-critic of his generation in the field of Anglo-Irish Literature. He pioneered its development as an academic discipline and is the author of a number of significant works, from a basic bibliographical guide to headline studies of Seán O'Faoláin, Austin Clarke, Thomas Kinsella, and others. His publications include Seán O'Faoláin. A Life (1994), Selected Essays (2006), and Thomas Kinsella. Designing for the Exact Needs (2008). He edited the definitive anthology Irish Poetry after Yeats (1978, 1998) and published The Dialogue of the Ancients of Ireland (2009), a new translation of Acallam na Senórach.